Is It Legal to Gamble on Android? The Google Play Store doesn’t allow real money gambling apps, but not because it’s illegal. It’s a moral thing. It’s basically their choice and they have the final say on this matter, unfortunately. So, I Can Legally Gamble on my Device? Assuming you are in a country where real money gambling is legal, then yes, there is nothing wrong with it. This means that you shouldn’t have an issue if you reside in Canada, but you will probably have an issue if you live south of the border in the United States. What is the Best Android Poker Site? It all depends on taste and preference. If you want the biggest and the ones with the most variety, then Full Tilt and PokerStars are the best. If you prefer things to move little slower and to have better graphics, you will no doubt prefer PKR. If you’re a grinder who likes to keep it simple, you will prefer 888 Poker. 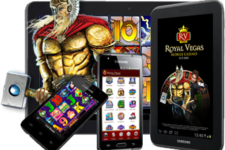 There are many poker sites that you can play on your device, and the “best” one is purely a matter of preference. What About the Best iOS Poker Sites? What Are the Downsides of Mobile Poker Sites? The main issue of Android poker sites and iOS poker sites is the fact that it can be very difficult to multi-table. This is why grinders tend to avoid them. In fact, the only time many professional players will use their device to play is when they are playing big cash games or when they are at a live tournament and are looking to fill in the gaps between hands. What Are the Upsides of Mobile Poker Sites? Convenience is the main thing. You can’t beat the feeling of relaxing with a tablet/smartphone and playing poker on a touch screen. This relaxation means it’s easier to keep your patience during long games. It also means that you can play when you travel (unless you’re the driver, of course). Do I Need a New/Powerful Device? Not at all. We have yet to find a modern tablet or smartphone that is not capable of playing poker software. The only issues we have found stem from devices that don’t use Android, Windows or iOS and instead use some obscure operating system that just wasn’t designed to work with many poker software. 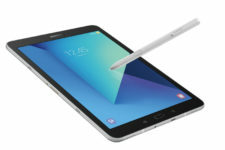 In terms of spec, most modern tablets and smartphones are perfectly equipped to deal with poker software. They are not taxing, they don’t require a lot of processing power and providing you have one of the main operating systems and a decent connection, then you should be okay. Are Mobile Poker Sites Safe? They are, but you should always avoid using public Wi-Fi (4G is much better) and you should make sure that the app always needs a password to login and that you always have a passcode on your device. That way, if you do lose your device then your details will still be safe.